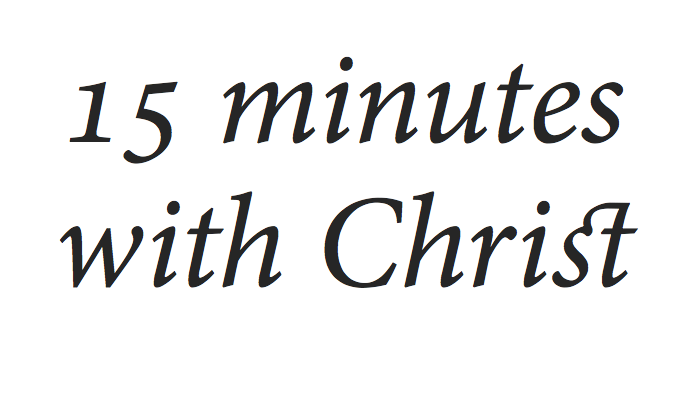 15 minutes with Christ – every day from 6pm, at St George’s Church, Belfast. When I was confirmed by Bishop Poyntz back in December 1991, we were instructed that we ought to pray daily. Taking a few minutes to be with God is important to allow us to listen to Him and to praise, thank, and worship Him as well. On Sunday 29 July 2012, there will begin a week-long series of short services in St George’s Parish Church, Belfast that will be just 15 minutes in length. They begin each evening at six o’clock and are planned to take place in the choir. Over the course of the week, we will hear readings from the Lectionary, as well as thoughts from a range of speakers from across the four main churches. The series is being organised and run by Faith and Pride to provide Christian spirituality to the many LGBT Christians and supporters who will be enjoying the Belfast Pride Festival. We look forward to welcoming you there as we experience the hospitality of Fr Brian Stewart and the Parish of St George. Posted on 27 July, 2012, in Belfast Pride 2012. Bookmark the permalink. Leave a comment.